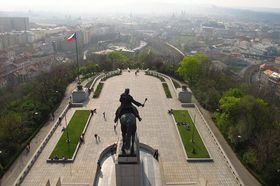 When the Czechoslovak Republic was proclaimed in 1918, its primary founder and future president, Tomáš Garrigue Masaryk, had grand plans for using one of the most famous periods in Czech medieval history as inspiration for what he wanted to be a state based on democratic and humanistic values. In many cases the references to Hussitism started during the era of the First Republic remain in some form or another until today. I decided to explore why Hussitism was so important in Masaryk’s First Republic and how its elements were combined into the new state. Tomáš Garrigue Masaryk On the 6th of July, 1915, Tomáš Garrigue Masaryk gave his famous Geneva speech. Stating that “there was no peace between the Czechs and the Austrians“. It would serve as the definitive delineation in which Masaryk and his colleagues announced their bid for Czech independence. 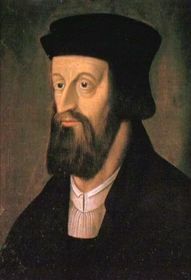 The date of the speech was chosen to be exactly 500 years after the burning of Jan Hus, the influential Czech theologian whose teachings in the 15th century had led to the emergence of Hussitism - the pre-Protestant, Christian reformation movement, which had successfully defended itself against multiple crusades by the pope and holy roman emperor in the subsequent Hussite Wars. Historian Pavel Soukup is an expert in Hussite history and, along with his colleagues from the Czech Academy of Sciences, recently held a lecture on how Hussitism was used in the era of the First Republic. He explains why this association with Hus was useful to Masaryk at the time. “The figure of Jan Hus was connected to Hussitism as well as to what historians call the “Hussite revolution“, and the outcome of Masaryk’s struggle for independence in 1918 was actually also referred to as a revolution during the First Republic era, so this factor of being a rebel against the current authority, which at the time was Austria-Hungary, was present. “It should also be noted that for Masaryk Jan Hus was not a destructive figure, but someone who started the tradition of the ideals of humanity as Masaryk called it. 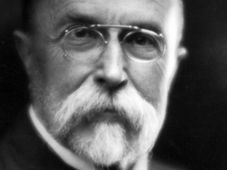 He was a prominent figure in Masaryk’s vision of Czech history, which envisioned a line of great era’s stretching from Hussitism through to the national revival. The symbolic and thematic undertones of the Geneva speech were certainly useful, but they were not the result of a quick fit on the eve of the independence speech. 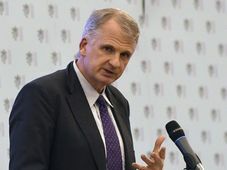 Rather, they emerged out of a 50 year long historical debate on the role of Hussitism in Czech history in which the future Czechoslovak president played a prominent role as Mr. Soukup’s colleague, historian Dušan Coufal points out. 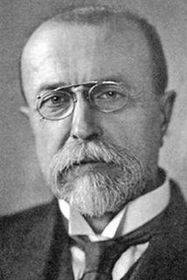 As medieval historian Pavlína Cermanová explains, Tábor was a useful example of how Masaryk envisaged the new state. That Masaryk took the Hussites’ understanding of religion seriously can be seen from his support to the newly founded Czechoslovak Church, which he characterised as a distinctly Hussite. Although, in the interests of state unity, the president was careful not to associate himself with religious matters too closely, he did, in the words of one of the churches patriarchs, have a “powerful effect on its founding members through his personality and world views“. 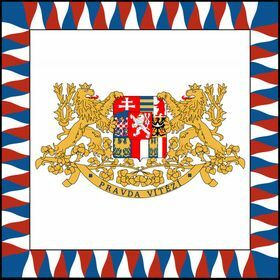 Actively promoting the movement, Masaryk also added a variation of the Hussite motto “Truth Prevails” into the presidential flag, where it remains today and in 1925 even placed a flag bearing the Hussite symbol of the calyx among the standards adorning Prague Castle. A move that foreign minister Edvard Beneš would have to diplomatically explain to an outraged pope in the Vatican. The president‘s efforts were supported by wide ranges of the Czech population, whose various groups had already started adopting Hussite symbolism as early as the mid-19th century. In the case of the Czechoslovak legionaries Hussite symbols were adopted into their insignia during the First World War. 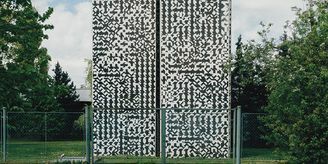 In the new republic, this tradition would be continued under the state’s sanction, with many of the army’s regiments receiving honorific titles bearing the names of national heroes from the era of the Hussite Wars. First Republic Presidential Flag bearing the motto: 'Truth Prevails', photo: Public Domain Another important force among First Republic civil society, the Sokol movement, adopted Hussite themes in their gatherings. Most notably in June 1920, when Prague’s Střelecký Ostrov and the surrounding river bore witness to a massive battle, which used themes from Hussite history such as the famous warlord Jan Žižka and wider Czech mythology, including the knights of Blaník, a Czech equivalent of the myth of the return of King Arthur and his knights when times are at their worst, as parallels to the victory in the First World War. 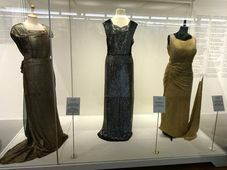 The excitement and patriotic sincerity of the time is illustrated through the way the Czech newspaper Národni Listy described the reconstruction. Yet despite the grandeur, there was always place for some Czech self-referential humour. Writing about the aftermath of a similar re-enactment in the local pub, the famous Czech anarchist writer, František Sauer, described a considerably less glamourous scene involving the actors playing Hussite heroes. The enthusiastic embracement of Hussitism did not appeal to all branches of Czechoslovak society, as Mr. Soukup explains. 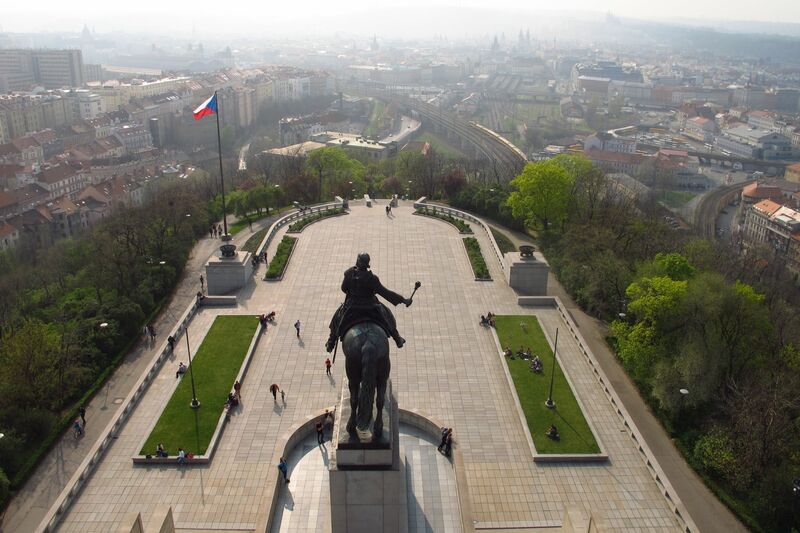 Equestrian statue of Jan Žižka on Prague’s Vítkov hill, photo: Kristýna Maková The honoration of Hussite heroes nevertheless continued and throughout the 1920s and 1930s construction works on a vast monument on Prague’s Vítkov hill topped by a massive equestrian statue of Jan Žižka were underway. However, the Munich Conference took place before the monument could be ceremoniously unveiled and under the protectorate Hussite ideas were firmly suppressed. Yet the states association with Hussitism would return with vigour once the communists took power in 1948. Historian Pavel Soukup explains the complexities the new powerbrokers faced when adopting the movement as their own. “The communists embraced the Hussite tradition and presented it in a positive way just like in the First Republic. However, they stressed different aspects. Instead of big thinkers and their ideas on humanity and religious ideas, the communists, especially in the 1950s, needed to stress the people in order for Hussitism to fit their very schematic Marxist interpretation of history. There was no one hero, but rather the people who acted as the protagonist of the class struggle. It is very interesting to see how they balanced between the needs to evaluate Hussitism positively and at the same time the First Republic negatively. 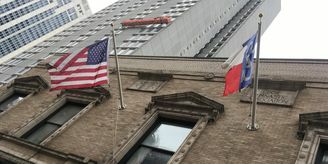 Much of the Hussite symbolism and institutions adopted during the First Republic remain in place until today, whether in the form of the presidential flag, the Czechoslovak Church, which now carries the added word “Hussite” in its name, or the use of characters such as Jan Žižka and Jan Hus during annual Sokol gatherings.